Since I have a break at work, and it is really hot in Georgia, I’ve been reading. 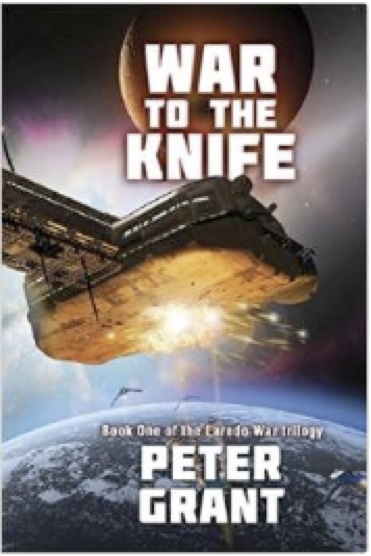 My latest Kindle eBook is War to the Knife, by Peter Grant. I gather that this is a first installment in a series, and in a way it reminds me of early David Weber or John Ringo, but on a smaller battlefield. Once I got past the “old west” opening, I really began to identify with the stubborn band of rebels. They fight, but they pay dearly, too. I once heard David Weber talking about his Honor Harrington series, and how her heroism is “bought with bitter coin” and that also describes this story. The combatants die, and in a gory fashion, so there is plenty of that gritty realism. However, the author switches between the point of view of the rebels and that of an officer on the other side, which does remind me, once again, of Weber. By seeing both sides of a war, even when one is clearly the enemy, there is a better understanding of the price paid by winners and losers. The author gets a little too into explaining some things, such as the ordinance, but that’s just personal taste. I tend to be more into how the characters feel than how many missiles it takes to blowup whatever, but other readers might want to more about the size of the warhead. But, the ingredients of a good military/space war story are present: a great cause, likable heroes, dastardly but not insane enemies, and plenty of weapons. However, the name of the enemy, Bactria, doesn’t work for me. It sounds like a topical antibiotic or something. Still, I liked this story quite a lot and the story is, for the most part, well-written and edited. Nowadays, so many people are self-publishing via Amazon that there are quite a few poorly written and edited books, so I begin with reading the negative reviews. If there are several that point out grammar, spelling, and consistency issues, then I keep looking. The reviews for this book are positive, and I agree with most of them. War to the Knife is a very good read, and I ended the story wanting to read the rest of the series. The Whiskey Creek Press version of Trinity on Tylos is about to become a bit of a collector’s item. When it was first published, I was mostly pleased, although the final edits were rushed and far too many mistakes made it into the print copy. The paperback was not of the best quality, either. The ebook, at least the one I got from the now defunct Fictionwise, was far worse. What few royalty reports I received indicated low sales, and even lower royalties. At one point, I was getting seventeen cents per ebook sale, and a typical quarterly check was about five bucks. When the book came out, in 2006, I sought out speaking engagements, author-guest slots at science fiction conventions, and I did quite a bit of internet promotional activity, hoping to help Trinity find an audience, and to do my part to help sell the book for WCP. By 2007, I realized that the sales were not going be as good as my self-published debut novel, so I spent far less time promoting it. But, WCP continued to be a disappointment, too. Just to get Amazon to list it, WCP required that I purchase two copies at full price; then, initially, the title was misspelled on Amazon’s website. Eventually, the print book was listed correctly, and I did have a couple of very good reviews on Amazon, as well as several from other sources. When Amazon’s Kindle format began to take on increasing importance, WCP indicated that eventually all of their titles would be available for the Kindle. While Trinity on Tylos was available for the Nook, it was never converted to Kindle format. My original contract was for two years, but I did not ask for my rights back, in part because I hoped WCP would eventually pay me more royalties, and that they would support the book. And, to be honest, I was very busy with my adjunct instructor job, as well as being mom to teenagers, so I didn’t push either promotion or accountability from WCP. After years and years of zero communications regarding sales, I can only conclude that either there were no sales or WCP kept all of the royalties. I will never know which. I’ve maintained a website, with promotional materials, links to vendors, and so forth, at my expense, and I finally came to the conclusion that WCP was never going to pay me anything ever again. Anyway, I did ask to have my rights back at the end of last year, via email, and there was no response. I asked again recently, via snail mail, and while I still have not heard a word from WCP, I noticed today that Trinity on Tylos is no longer listed for sale by Whiskey Creek Press nor by Barnes and Noble. Amazon still has it for sale, but they list the one lonely copy, and I do remember that I paid for it in 2006. I’ll bet it is quite shopworn by now! Fellow WCP authors are in a bit of an uproar, because WCP has been sold to a New York firm, Start Media. Some of those other authors have suggested that I self-publish it, as they are doing with their own books, and I have talked with Booklocker about doing the formatting and cover. Since I don’t have a clean copy of the manuscript, I’ll be doing some editing before doing anything else. In the meantime, Whiskey Creek Press is going, going, soon to be gone. Various interent sites have chronicled the demise of this small press, and much of the dirt is recorded here. For whatever reasons, I’m sad, which is illogical, because the publisher hasn’t been paying me or even bothering to respond to email. And there is little solace in knowing that I am not the only author that they deemed not worth a simple email. 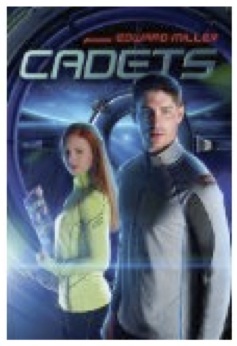 While I prefer more sophisticated military science fiction, readers of all ages should enjoy Cadets, which is an entertaining read. The story follows a group of cadets, who are forced into growing up quickly when a menace from outside the solar system wipes out virtually all of the Earth’s defense force. The characters are not as complex as those readers would find in a space opera by David Weber or Elizabeth Moon, but for the intended audience, this yarn is quite good. The military strategy won’t impress adult readers, either. Still, it is suspenseful, with a bit of Independence Day style peril. A good read, with no worries for the parents. Do you remember all the obstacles faced by the survivors of the Poseidon Adventure? Did you cringe at the fate of the passengers left to die on the Titanic? Did your skin crawl when reading about the “medical experiments” performed on holocaust victims? 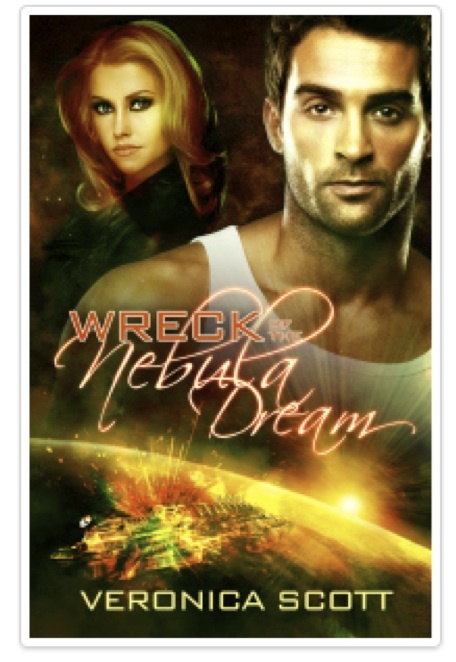 I remember those emotions, and they all come into play when reading Veronica Scott’s space opera, the Wreck of the Nebula Dream. This book is one heck of a bargain, and it lacks the usual problems associated with Amazon Digital Services as publisher. The only down side is that something like 60% of the apostrophes are turned the wrong way. Although not a perfect story, this one is darned close. The hero is, well, heroic, but not arrogant. The heroine is a great side kick. There are kids, a bit of fantasy and magic, and some stock characters, too. The story does take a little while to get going (in media res would have helped this author) but once the disasters start happening, one thing leads to another, and the action is constant. I really liked this novel. While it is available in print, I read the Kindle version, and I didn’t get much sleep the night I purchased it. That is not a complaint, but I think I need a nap now…. Alarm of War—Best Space Opera I’ve Read Recently! Okay, the story line is hardly new: green recruit impresses everyone, gets promoted, and saves the day. But, Alarm of War by Kennedy Hudner does have some freshness, and most of the spelling and all of the grammar is correct. That’s saying quite a great deal in this day of self-published ebooks available for the Kindle. Our main character is Emily Tuttle. Yep, that does not sound like a heroine’s name, now does it? 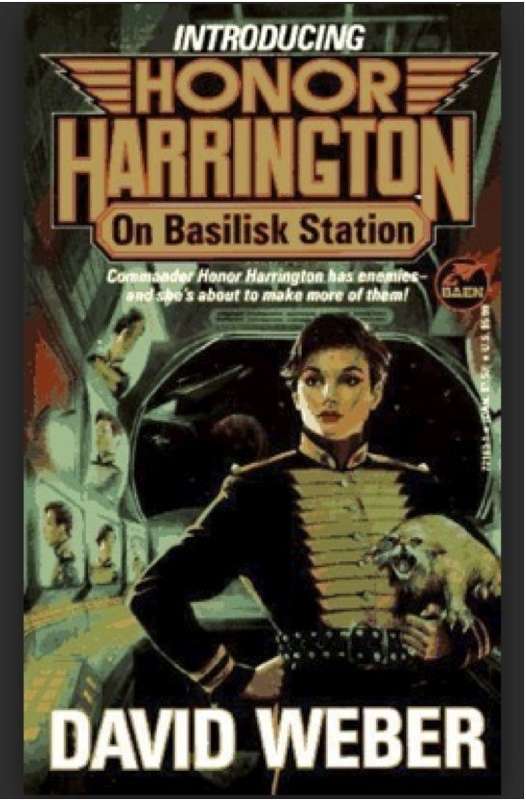 Especially not a military fiction heroine, who should have a big name, like, oh, say, “Honor Harrington.” But, our heroine is Emily Tuttle, and she doesn’t look particularly heroic, being rather small. Oh, and she has a master’s degree—in history. Her best bud in training is a tall Hispanic chick named Maria, who goes by “Cookie.” And the smartest dude in the training group is a geeky guy named Hiram. And what is really odd is that the leadership of the training facility actually recognizes who is smart and acts accordingly. Maybe the government will do stuff like that in the future. Anyway, the novel begins with background and political intrigue; actually, too much of that. Oh, it helps to know all that as the story moves along, but it might be better dished out in the middle of the story. To be honest, I did not get interested in this novel until a royal despot kills a lawyer and uses him for decor. Then, I got interested, and I stayed interested. Just when the reader believes that he or she knows exactly what is going to happen, something comes along to shake things up a bit and keep the reader turning the pages. This one ends with a bit of a cliff-hanger, so I went back to Amazon, intent on purchasing the sequel. Unfortunately, Alarm of War was published in August, and there is (as yet) no sequel. Darn. I hope that Mr. Hudner is busy working on part ii of this yarn. Maybe it will be out by Christmas. Gosh, I hope so.